About That Kiss is we get to know more about the luscious Joe Malone *swoon*, retired Special-Op's and now working as one of Archer's crew, and if that want enough, he is the brother of Molly, and his father is a crazy VET, who refuses to wear pants, and likes to point a shotgun at the door, no matter if you're friend or foe! And just who is paired up with the beautiful, but emotionally frozen Joe? 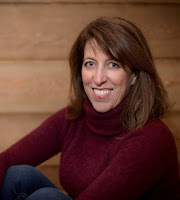 Well it can only be Kylie Masters, Master Carpenter, owner of half French bulldog, and half muppet, Vinnie, and the recipient of the most explosive kiss from Joe, only then to be ignored by him! But when Kylie has one of the few special pieces from her grandfather's stolen and held for ransom, Joe is the only person she can think who would help her. To say I love this series is an understatement, I mean seriously! What is not to love!! The chemistry between Joe and Kylie is explosive, the plot is a funny, crazy, romantic (ish), who done it, that at points, had me laughing so hard, I cried. About That Kiss is definitely a must read for 2018! And with all that being said, I give About That Kiss 5 well deserved stars! 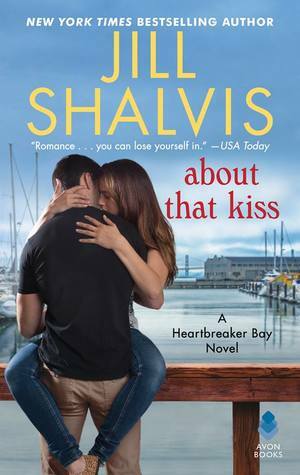 Avon Romance are graciously giving away one paperback copy of About That Kiss by Jill Shalvis, comment below about the thing you were given that you treasure the most. This is for US residents only, winner will be chosen at random, and be notified by email. I know that this is really corny, but my children are my treasure.